You can showcase your business in a completely new way on Google Maps, Google Plus and across the web. You can hire me, a Google Trusted Photographer, to create a 360° interactive virtual tour and a set of professional photos of your business that are featured next to your search results and within Google Maps. You can give your customers the ability to walk through and look all around your business, with Google’s familiar Streetview interface. You can trust Google, there are no hidden costs or monthly hosting fees, just the initial cost of the photoshoot. 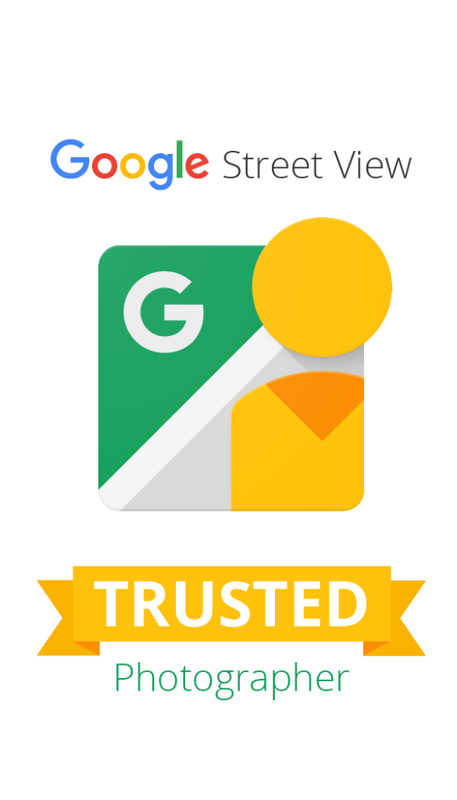 You can get peace of mind by knowing that only Google Trusted Photographers can do this highly specialized service, all certified and verified by Google. You can embed the resulting virtual tour within your own website and share it via social media or email, for free, forever! You can also update (via a new photoshoot) as often as you wish the existing virtual tour; it’s great for showcasing new displays or store renovation!